Richard Mortimer's book covers the reigns of Henry II, his sons Richard the Lionheart and John, and much of that of his gradson Henry III. The period was beset by constant wars with France, frequent troubles with the popes, and baronial rebellions culminating in Magna Carta. But Angevin rule also witnessed the re-establishment of a strengthened royal authority and administration, a burgeoning prosperity, the beginnings of the common law, and the foundations of universities at Oxford and Cambridge. This is not only a history of the politics of the period but of society and culture, and the interactions of the three. Richard Mortimer was born in London and educated at Maidstone Grammar School and the universities of Sussex and London. He researched and taught at the universities of London, Exeter, East Anglia and Cambridge, before becoming in 1986 Keeper of the Muniments at Westminister Abbey. Part I: Politics and Government: . 1. The Background to Politics. 3. The King and the Aristocracy. 4. The King and the Church. 5. England and its Neighbours. Part II: Society and Culture: . 7. Towns, Industry and Trade. 8. Learning, Literature and the Arts. 9. 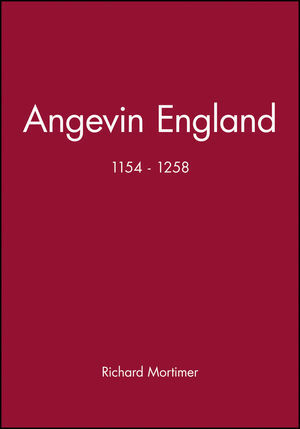 England and the Angevin Empire. * The first account of this period for nearly 30 years. * Covers the Angevin Empire of Anjou and Normandy. * Includes such events as murder of Beckett and Magna Carta.